New to the rental program with new owners, SOLMATE will be the perfect match for your vacation (formerly named "Daisy")! 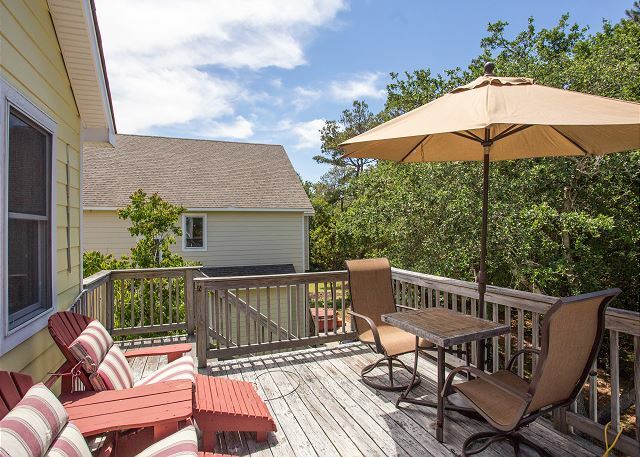 A charming 3-bedroom home, located in the Magnolia Bay section of The Currituck Club resort, has a private pool so it is perfect for a small family including grandparents to have a chance to enjoy their grandchildren. 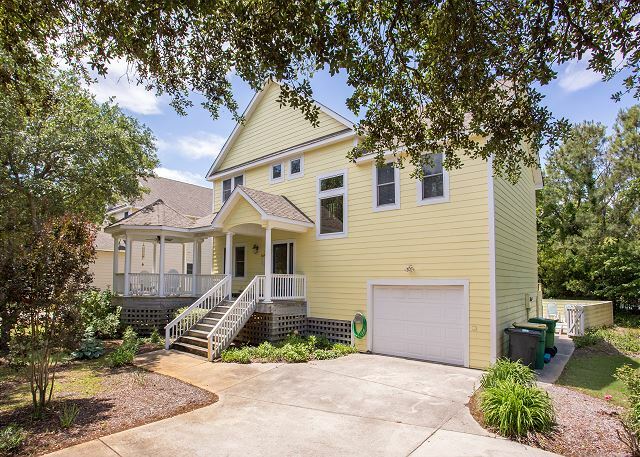 New owners are upgrading the flooring and furniture for the upcoming rental season. The Great Room has vaulted ceilings and encompasses a fully-equipped kitchen with stainless steel appliances and stone counter tops. The dining area seats 10 and there are 2 seat at the bar counter. 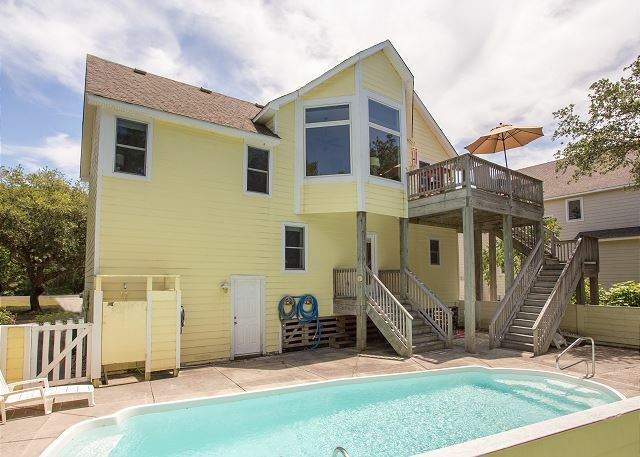 The living area has a flat-screen TV with cable and comfortable couches and chairs for relaxing with your family with a wide bay window for outdoor views. A Sun Deck with table and chairs can be accessed on this floor. (Note: gas fireplace is not for guest use). The spacious King Master Suite features a jetted tub. There’s also a Queen bedroom which shares a bathroom with a bedroom that will have 2 Pyramid Bunk sets for kids (this bedroom will not have 2 twin beds). The bedrooms have flat-screen TVs with streaming TV options (no cable). 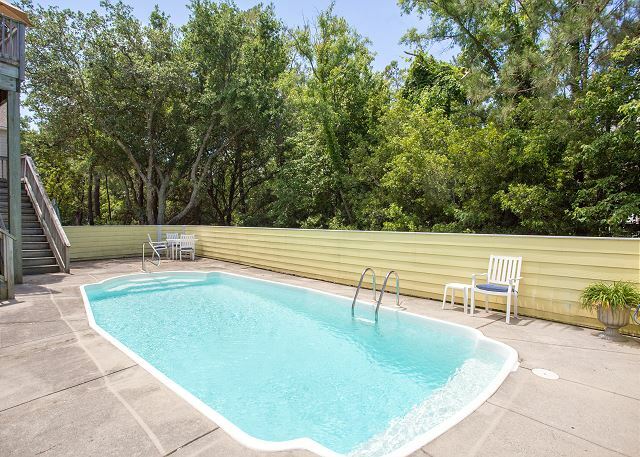 The private pool measures 12' x 30' and there's a hot tub for the adults to enjoy too! The garage has been converted into a game area with a Foosball table, dart board, puzzles, games and a PlayStation 3 for kids of all ages! 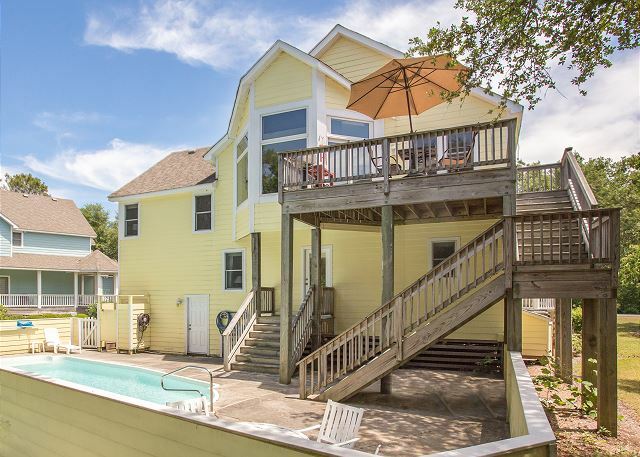 As guests within The Currituck Club, a premier gated community, your family can use its various amenities including free trolley service to the beach access, beach valet, Clubhouse with on-site dining, large community pool with kiddie pool, Fitness Center, and courts for tennis, basketball, and volleyball! There are planned kids’ activities offered during the summer and paths for walking and bike riding. Golfers in the family can make reservations to play on the 18-hole course, landscaped throughout this resort, with sound and ocean views.